71 of 72 Oilers games to air on the Sports Animal network of stations, starting with the home opener Saturday. TULSA, OK – The Tulsa Oilers, proud ECHL affiliate of the National Hockey League’s St. Louis Blues, announced its broadcast schedule and platforms for the 2018-19 season Tuesday. 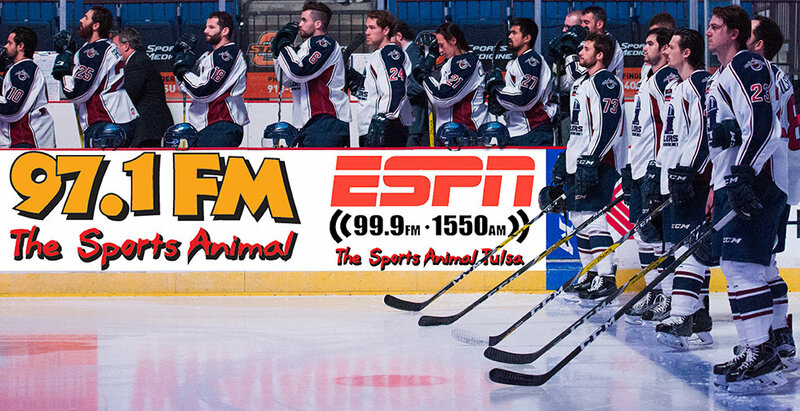 The Sports Animal network of stations in Tulsa will be the Oilers broadcast home for the second straight season. ESPN 99.9 FM and 1440 AM will host 64 home and away games, while seven games will air on 97.1 FM. Every Oilers home and away game can also be heard on MIxlr at www.mixlr.com/tulsaoilers and the Mixlr mobile app for those out of the listening area. Pregame coverage starts 20 minutes before scheduled game times.